Your future home awaits with this meticulously cared for 3 bedroom 2 bath home in desirable Shore Acres. The kitchen will bring out your inner chef with its granite countertops, stainless steel Whirlpool Gold appliances, and an island with plenty of cabinet space. The home is a split floorplan that features a completely remodeled master bathroom (2014) with gorgeous travertine and Spanish tile throughout. 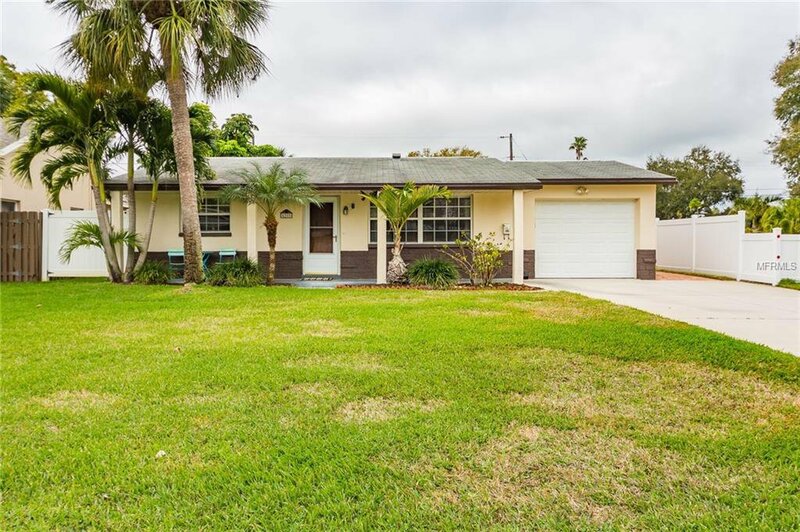 Take full advantage of Florida living with a screened-in porch which leads out to an enormous backyard that is plenty big for a pool and ideal for any entertainer with pavers (2014), a sprinkler system and immaculate landscaping. You will also feel at ease knowing that the big ticket items have been recently updated including the HVAC being replaced in 2016, exterior paint (2017) and a roof update (2018). This home is completely move-in-ready and is located on one of the highest streets in Shore Acres. It will not last, so see it today! Listing courtesy of LUXURY & BEACH REALTY INC. Selling Office: POST HODGES PROPERTIES LLC.